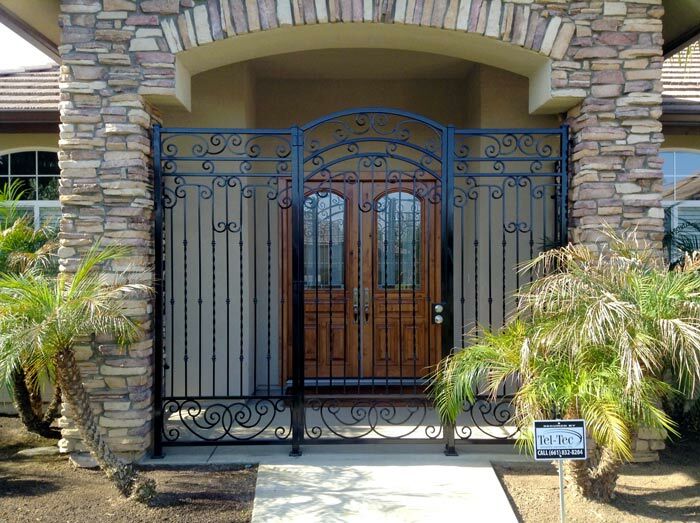 Locally-owned and -operated, Jaguar Wrought Iron has provided decorative wrought iron products for residential and commercial customers throughout Bakersfield, CA since 1971. Our master craftsmen take pride in creating attractive, durable iron installations that meet your aesthetic and security needs. Our abilities encompass decorative gates, fencing, handrails, spiral staircases and more. For a beautifully-crafted, made-to-last iron gate in Bakersfield, CA, consult with the master craftsmen at Jaguar Wrought Iron. Our decades of experience in wrought iron fabrication have led us to become the go-to source for gates, fences, security installations and more! We combine our knowledge of wrought iron fabrication with artistic capabilities and vision to create unique products for all of our customers. Each project we craft is a visual work of art, backed by the durable, resilient properties of wrought iron. And, from the largest fencing project to the most intricate spiral staircase, we stand by our work with pride. We have the largest showroom of wrought iron products in all of Kern County! Our business is state licensed for your peace of mind (License #307741). Our products and services are available to residential and commercial customers alike. We’ve been crafting beautiful wrought iron products since 1971. We can offer project estimates to customers based on a survey of their needs. Contact the professionals at Jaguar Wrought Iron today to discuss your vision for a new fence, gate, staircase or other expertly-crafted, wrought iron installation. We offer quotes on service.